As China plans to launch its "new" moon, the future of several species is plunging in darkness. The Chinese, it seems, can create a duplicate of anything. Now, they have set their eyes on the moon. Quite literally. Their fakes are not just a problem for our gadgets anymore. China now wants to put up a ‘fake moon’ in the sky. The reason? To use this to reflect the sun’s rays onto its cities at night and save all the electricity and money it spends on lighting up cities then. And in what seems to be a usual omission, Beijing doesn’t seem to have paid any heed to the devastating effect that this project could have on the health of human, animal and plant life. The Chinese moon will reportedly shine over Chengdu, a city in Sichuan province of southwestern China, in tandem with the real moon. The artificial moon would work as a mirror, reflecting sunlight back to Earth across an area of between 10 kilometres and 80 kilometres. It would orbit the earth at a height of around 500 kilometres as opposed to the moon, which orbits at 3,80,000 kilometres. The fake moon will reportedly be eight times brighter than the original moon, People’s Daily reported. Chengdu aerospace officials claim that putting a fake moon in space could actually end up being cheaper than paying for street lights. According to China Daily, illuminating an area of 50sq km could save up to 1.2 billion Yuan (USD 173 million; Rs 1266 crore) a year in electricity charges. The launch will be from Xichang Satellite Launch Center in Sichuan by 2020. And if the launch proves successful, three more such “moons” will be launched in 2022, China Daily reported. Unwanted, excessive, misdirected or obtrusive artificial (usually outdoor) light is referred to as 'light pollution'. This fake moon is all set to cause just that. Too much light has adverse consequences. Besides interfering with astronomical research and washing out starlight in the night sky, light pollution disrupts flora and fauna ecosystems and has adverse impacts on human health. For billions of years, life forms on earth have relied on a predictable rhythm of day and night. It is encoded in the DNA of all plants and animals. 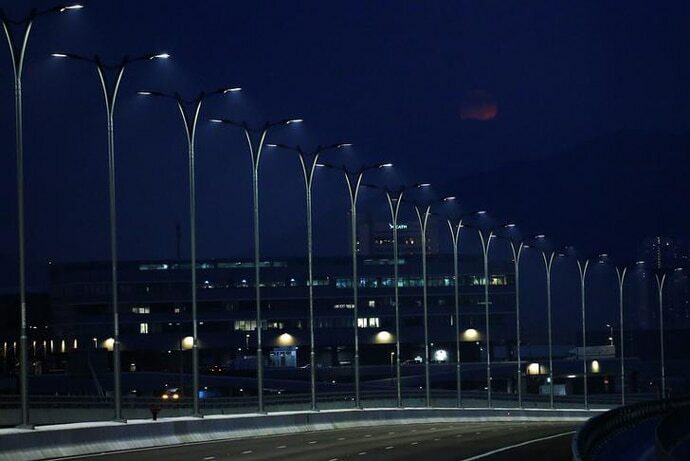 Humans have radically disrupted this cycle by lighting up the night with street lights or even bright lamps in our homes. Light and darkness are equally important for animals. Prey species use darkness as cover and predators use light to hunt. Turtles species like the Olive Ridley Sea turtle live in the ocean but migrate thousands of kilometers to lay eggs on the beaches they were hatched in. The hatchlings head off to sea by finding their way led by the light in the horizon. 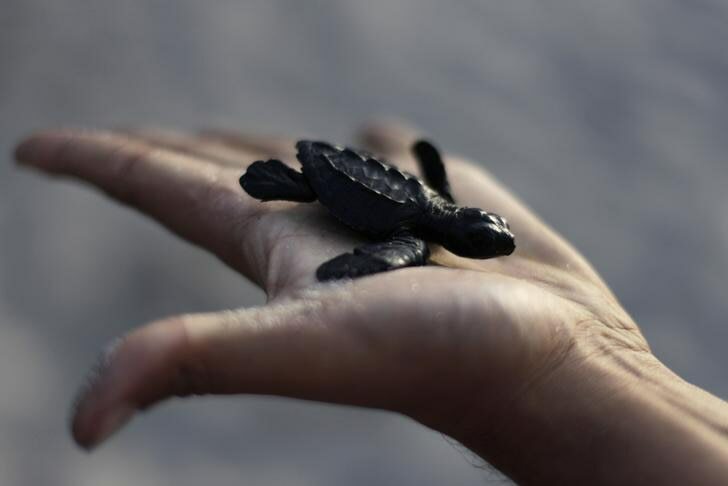 However, with bright street lights along the beaches, the hatchlings head in the opposite direction — and millions get crushed under vehicles or are poached. 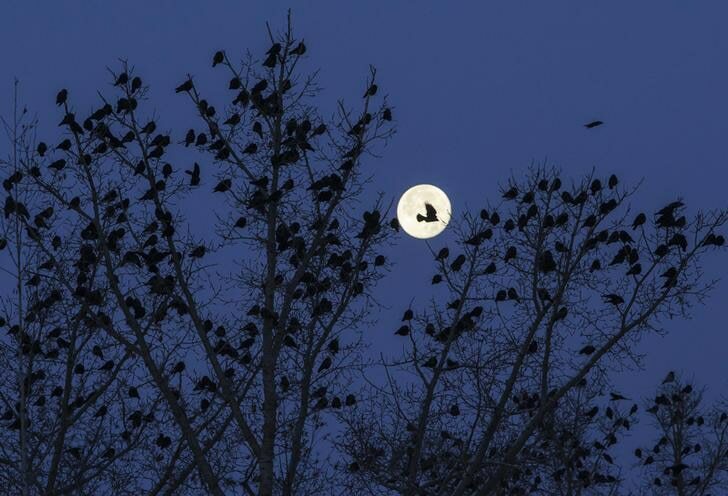 Similarly, nocturnal birds that migrate or hunt at night navigate by moon and star light. Artificial light causes them to wander off-course and get needlessly killed by colliding with illuminated buildings and towers, besides electric poles. Migratory birds depend on cues from properly-timed seasonal schedules. Artificial lights can cause them to migrate too early or too late and miss ideal climate conditions for nesting, leading to a serious decline in their numbers. In disrupting ecosystems, light pollution poses a serious threat to mental health in humans. Studies have shown that humans are dependent on natural body cycles called circadian rhythms and the production of melatonin, regulated by daylight and darkness at night. The moon barely visible over artificial lights in Hong Kong skyline (Photo: Reuters). Continuous exposure to light while sleeping can cause suppression of melatonin production, leading to increased anxiety, medically defined stress, worker fatigue, increased headaches and obesity — all due to lack of sleep and sleep disorders. It is to be noted that the Chinese have consistently been at risk of anxiety, depression and stress — with nearly 42 percent diagnosed with lifetime prevalence of anxiety disorders and 3.5 per cent of the population suffering from lifetime prevalence of panic disorders, according to the study conducted by Guangxi Natural Science Foundation. It is for a good reason that lunatic and lunacy derive their roots from Latin word ‘lunaticus’ which means "of the moon".